I got some of that 'ole skool' romance! Well, actually thanks to fellow Jersyan and blogger Mariana from Hips Like Mine, who was very generous indeed, I was able to replace some oooold favorites I read and gave away a long time ago due to my back and forth cross-country moves, including The Flame and The Flower by Kathleen E. Woodiwiss. I was also lucky enough to acquire books by some authors whose backlists I've been attempting to collect for a while. The haul is so extensive that I didn't think listing them would be plausible, so I decided to take some pictures instead. 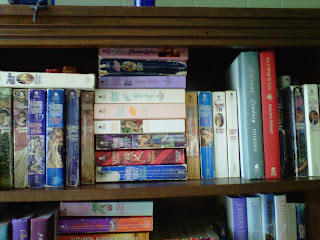 I'm excited about Angel, A Heart So Wild and the five novels from the Malory series. There's the great, the good and the... hmm... in that bunch -- The Pursuit is in there, lol! 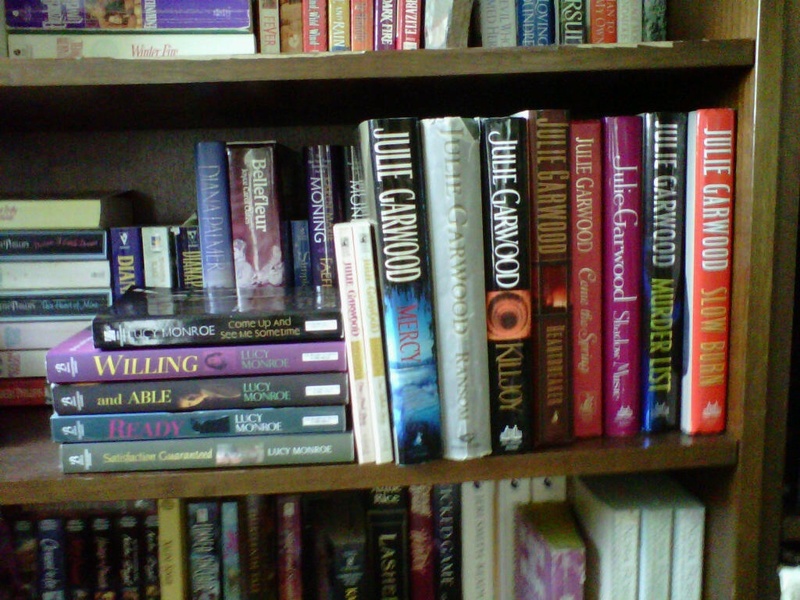 Sooo excited about Ransom, One White Rose & One Pink Rose by Garwood. I'm excited about ALL the Linda Howard books, specially the Silhouettes! The Cutting Edge, Against the Rules, Come Lie with Me, and I did get another book from the McKenzie series on print (I have the digital copies). 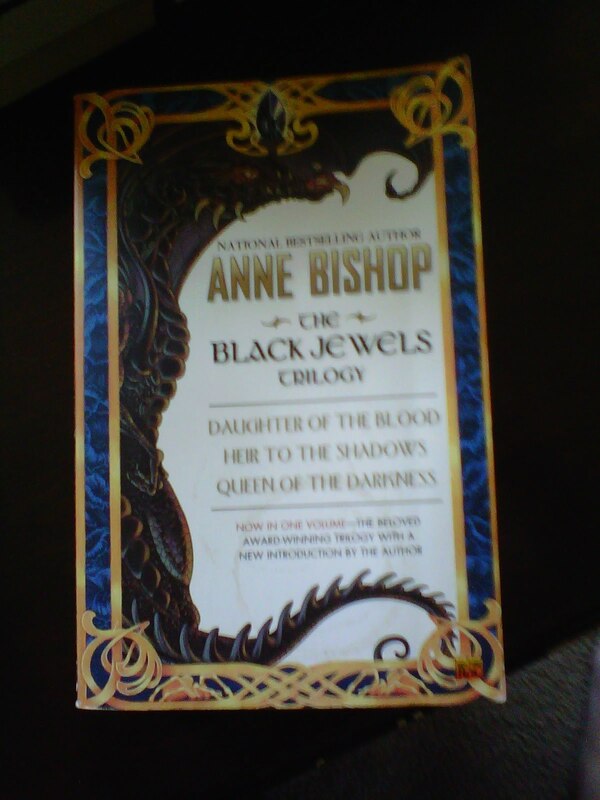 Anne Bishop's Black Jewels Trilogy! This was just pure greed from a Nora fan. I already have these books, but the original Silhouettes? I saw these books, my eyes glazed and I just had to have them. 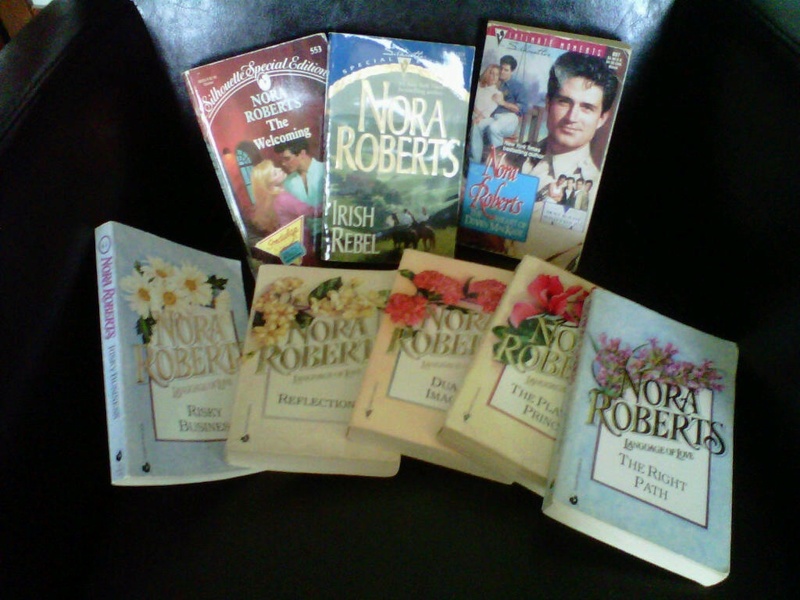 Specially Irish Rebel, one of Nora's first Silhouettes (I'm not quite sure if it was her first? ), and The Heart of Devin McKade, my favorite book in the McKade Brothers' series. And except for very few books, tons of In-Death books for my Challenge! 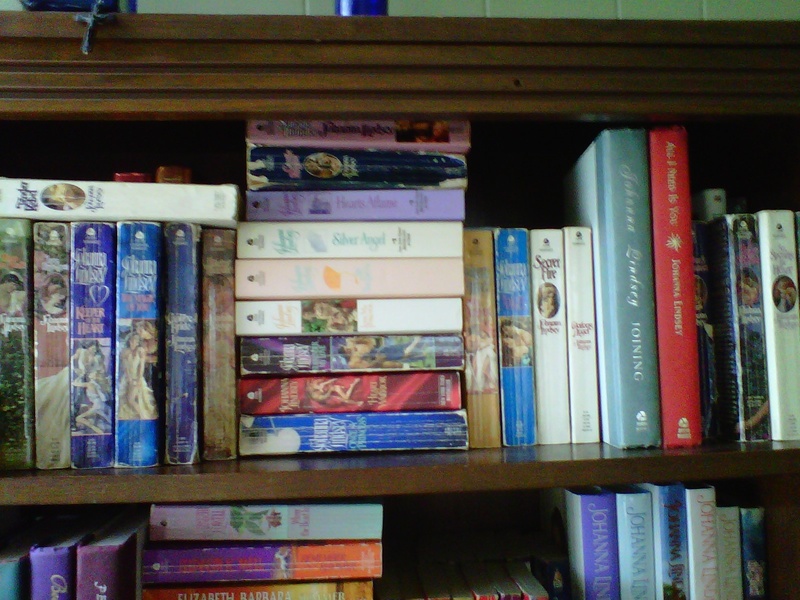 Of course, if you notice these are not on my bookshelves and that's because my daughter won custody of them. She's reading them much faster than I am, and frankly there's no room for them on my shelves. So, I'll "borrow" them as I go along. Thank you Mariana for your time and generosity! Such fun! Remember, there are still more here (for a short while). Holy cr*p! That is a HUGE haul. GOOOOO, Hils!! hehe. 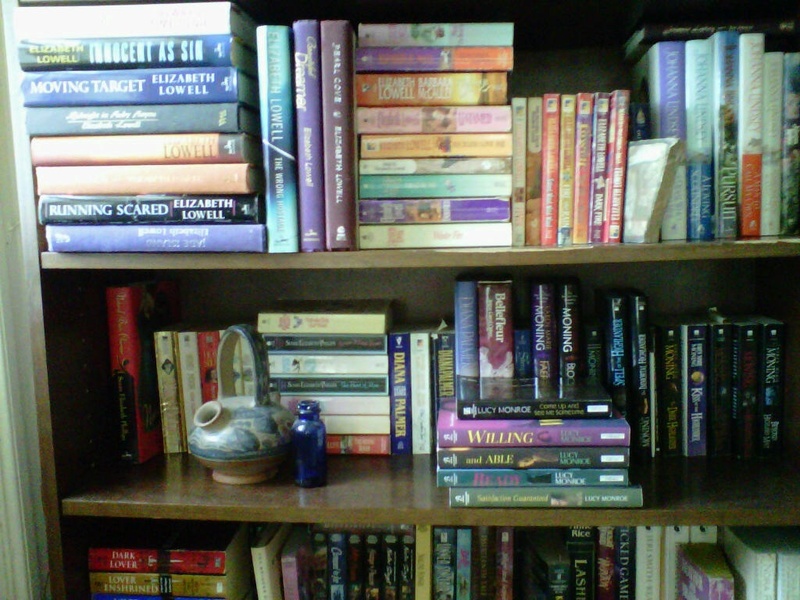 I'm jealous even though I already have quite a number of the books of my own! Lol. My eyes are glazing over on those original NR Silhouettes too! And yay to Linda Howard, Julie Garwood, and Johanna Lindsey! So what are you going to pick out of the bunch to read first? Can I befriend Mariana too?? Wow, Hils :D this definitively beats any of my hauls :D You are so extremely lucky :D All those rare and hard to find books!! 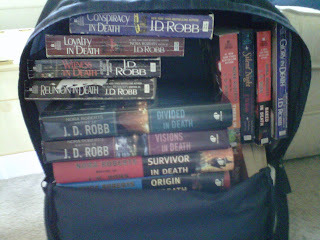 Wowzer :D and it's great that you get to replace some of the books you have to give away back then. I actually read a book that I didn't feature up there: Falling for Anthony by Meljean Brooks (Hot Spell Anthology). It's the first novella in the Guardian series. I had NOT read it! Boy was I happy to get that one! LOLOL! To Nath and Tabitha... I do have more books to give. I'll publish a list on my blog by weekend. If you'd like, I'm willing to ship them out (if you're not in NJ). If you are in NJ, I believe the ladies will be meeting at my house to get others, you're more then welcome to join (or come on your own). Mariana -- thanks for the offering! I'm not in NJ (nearby in PA). But I'll take a look at your list just because I like to see what other readers have on their shelves. Lol! Tabz, I really liked Falling for Anthony. After reading the rest of the series, it was great to finally know Colin's background and to see how Brook began the worldbuilding and the series. It was worth reading. I haven't read the rest of the anthology yet. What fun! I love seeing all of those books. Boy, you have a treat in store for you with the Anne Bishop books! Renee, I can't wait to finally read the Anne Bishop books. That trilogy is one of those that I've had on my "to buy" list forever it seems, but kept putting off for later. I'm sorry I wasn't able to meet up with you and Mariana this time. But I'm confident we'll get together over the summer. 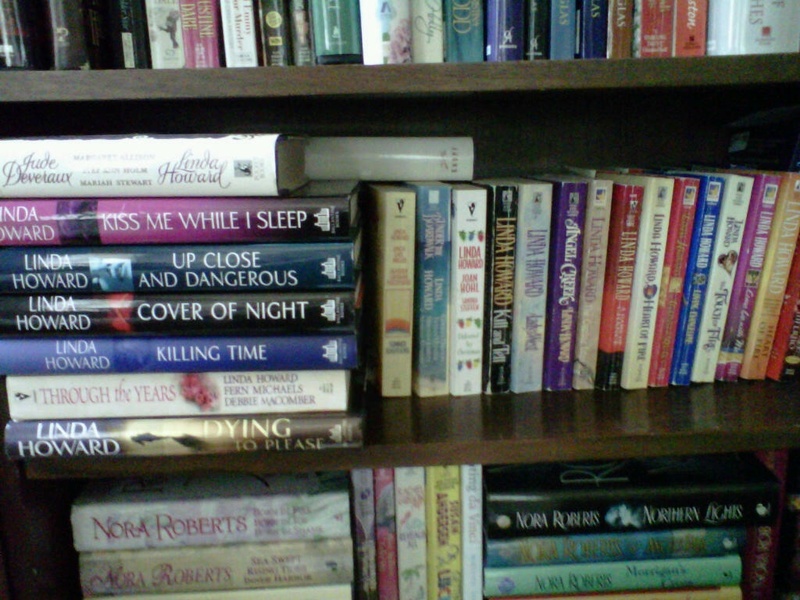 Aww Christine, my books are all well-loved! We will meet soon, soon... I can't wait!